Do something green in 2019. 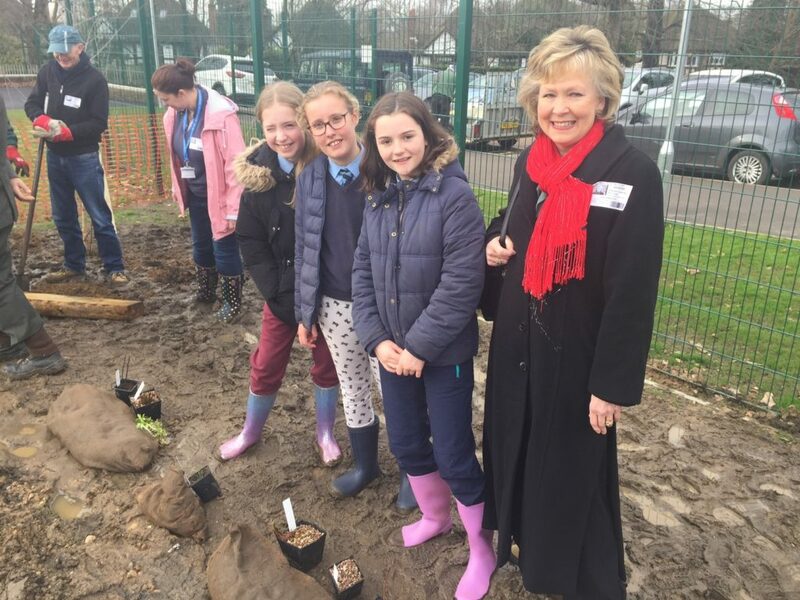 That was the message sent out by Sevenoaks Primary School pupils as they helped create a wildlife pond to mark the launch of Kent Year of Green Action. Based on the government’s national Year of Green Action campaign, Kent Year of Green Action is an initiative of Kent County Council’s Kent Environment Strategy, which focusses on the environment, health and the economy. 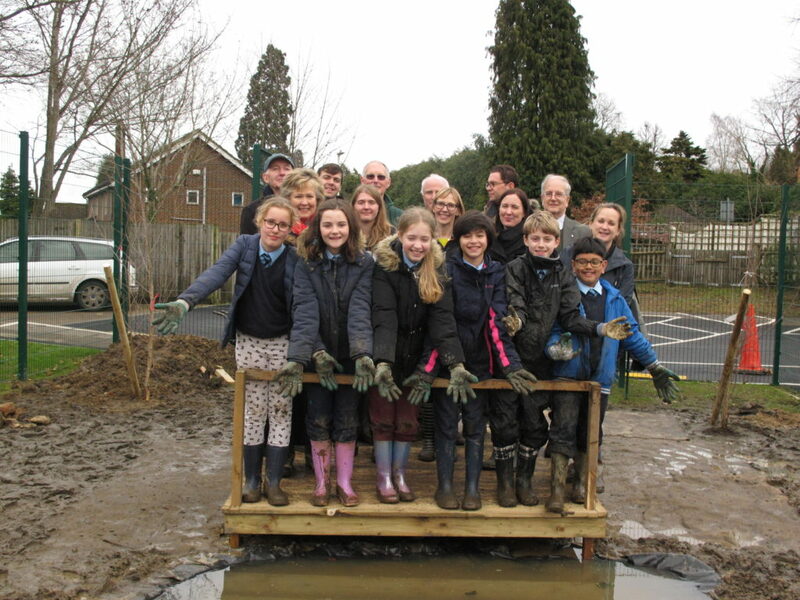 The creation of the wildlife pond, complete with pond-dipping platform, is just one example of the wealth of fantastic Green Action activities taking place for people of all ages throughout 2019. The idea behind the campaign is to encourage individuals, families, community groups and businesses to connect with their environment then help to protect and enhance it; these are the three themes of green action. 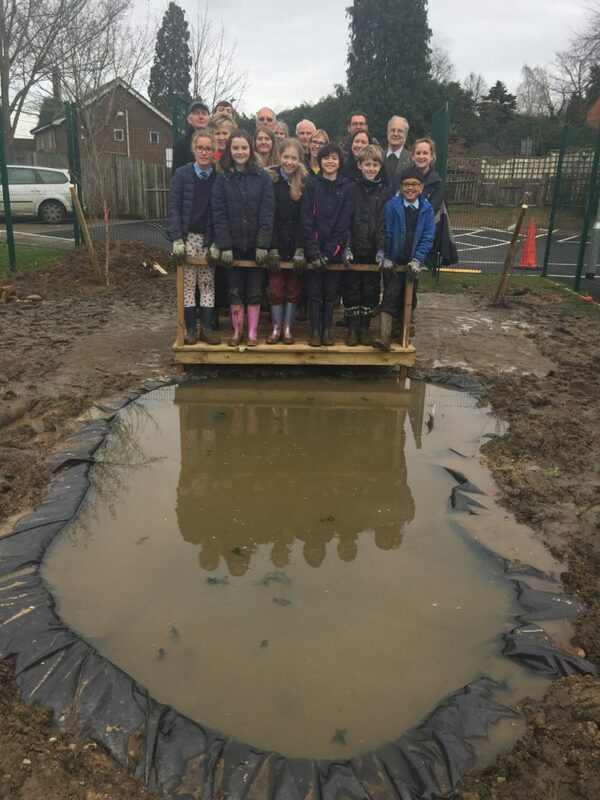 Staff and volunteers from North West Kent Countryside Partnership have spent the last few weeks working with the school to create not only a pond but also a pond-dipping platform, which will enable the children to take a closer look once the wildlife establishes itself. Special guests were invited to the school on Wednesday (February 6) to see the pond creation project in action, including Michael Payne, KCC’s Deputy Cabinet Member for Planning, Highways, Transport and Waste, and Margaret Crabtree, KCC Member for Sevenoaks Town and Deputy Cabinet Member for Finance. Mr Payne said: “Kent Year of Green Action supports the ambition of the Kent Environment Strategy, which is to make the most of the county’s unique and diverse environment. It also brings together the many Green Action initiatives that are already taking place across the county. 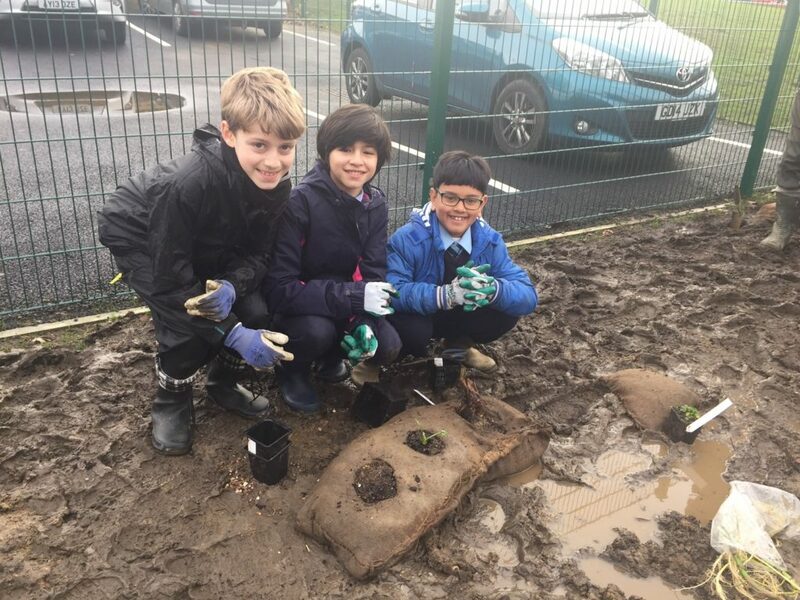 This project is a brilliant example of green action and both the school children and the adult volunteers are having a wonderful time doing their bit for Kent’s natural environment and should be congratulated. The North West Kent Countryside Partnership is a not-for-profit organisation, which helps the environment and local community. Sara Spellman from the partnership said: “Working with the school has been a real pleasure for both the school children and our volunteers. North West Kent Countryside Partnership works with schools, local community groups, parish and district councils and private landowners to help the environment and local community. The government’s Year of Green Action 2019 aims to encourage and promote events, announcements and activities that raise awareness of, and participation in, action beneficial to the environment. A Green Action is anything that comes under one of three themes: Connect, Protect Enhance. Kent Year of Green Action is aimed at people of all ages. However, during February half-term there will be a wide range of events which children can get involved in. Kent Children’s University also has a Year of Green Action Challenge running throughout the year with Green Actions to get involved in at home.